But his new book is the antidote to Trumpism. 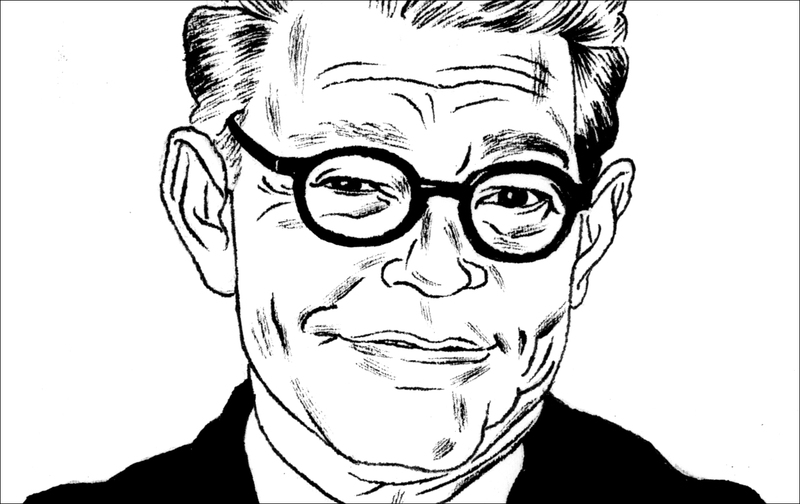 “Al Franken is running for president in 2020.” He insists that he’s not in our interview below, but Al Franken: Giant of the Senate (OK, he’s still funny) is enough to make you wish he’d change his mind. Calling various progressive politicians “the Anti-Trump” is becoming a cliché, but there’s no one who matches the description better than Franken: television star vs. television star, renowned comedian vs. renowned clown. His new book tracks the way he has worked to suppress his comic side and earn stature and respect as a US senator, and it highlights the way that Trump has resolutely and dangerously refused to do the same. Also, the book is hilarious. I talked to Franken on a torrentially rainy day in Washington, DC, in late May. Our conversation has been edited for length and clarity. There might be a reaction to all this wanton lying by politicians... you just never know. AF: Well, there were a few of them. That Scalia’s dissent [on marriage equality] was “very gay”—I really fought for that one! I’d already been re-elected. I will argue my case, but if my people say, “Absolutely not,” I pay attention almost all the time. JW: Sometimes the book reads like a self-help primer for those of us who were crushed by Trump’s victory. And we needed it. But, of course, you had to have written most of the book before he won—which nobody expected. How much did you have to change? JW: But he is a lying liar who just keeps getting away with it. Don’t you find it incredibly depressing? AF: (Sighs) You can’t allow yourself that. JW: You predict in the book there could be a backlash to all the lying—a “neo-sticklerism” movement. AF: But you never know. There might be a reaction to all this wanton lying by politicians, so that people insist on the truth. You just never know. JW: What do you think it’s going to take for your Republican colleagues to do more to fight Trump? JW: What do you say to progressives who argue the investigation into possible Trump ties to Russia is a distraction from more important issues? AF: The Russia investigation is incredibly important—it’s about a foreign power interfering with the very basis of our democracy. So we shouldn’t lose sight of that. But we have to be able to walk and chew gum at the same time—health care being a prime example. Right now, Republicans are trying to pass a cruel and irresponsible piece of legislation that would have devastating consequences for Minnesotans. I’m trying to stop that bill, because it would dismantle Medicaid, rip coverage away from millions of Americans, and allow insurers to once again discriminate against people with preexisting conditions. JW: Who in the Senate could have been a Saturday Night Live cast member? AF: No one… no one. Remember, I wasn’t a cast member. I wanted to be a cast member. I was just a featured player! JW: Any of your SNL colleagues, could they be senators? AF: Oh, yeah—a lot of them. Conan [O’Brien], definitely. JW: You wrote a book called Why Not Me? about a fake (and disastrous) Al Franken presidential run. Do you ever say “Why not me?” for real about the presidency? AF: That was a joke! [Laughs] No. JW: That’s pretty definitive. But I think a lot of people are gonna finish this book and wish you were running.